We Provide Easy and Affordable Web Design. In Which we allow You to be in control how your website is designed. 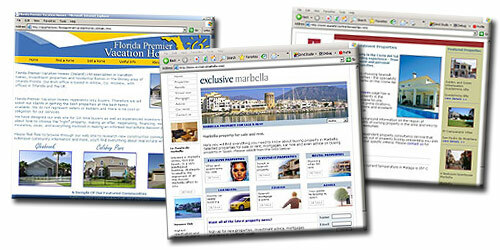 We don’t use templates like most other affordable web design companies. Also you are always talking to the owner of the company so you can wheel and deal with the prices. And you will always be dealing with the guy who is designing your website. This allows you to discuss new ideals and designs. We Provide Easy and Affordable Custom Programming. We create small custom programs for small businesses. For example do you need a special program to keep track of Customers and How much Product they buy and when they made the purchase, print invoices, print out custom postcards, send out a mass email to all your club members, and we can also create these programs to work across a network or intergrate it into a website.